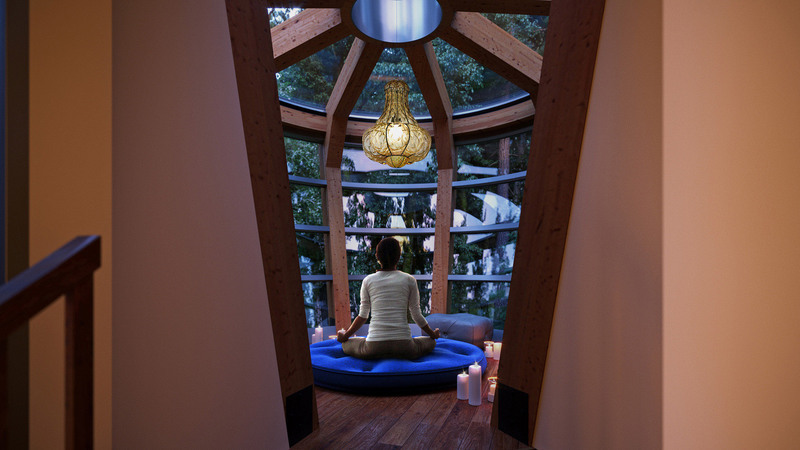 This was a project created for the 'Silent Meditation Forest Cabin' competition. It was an international contest. 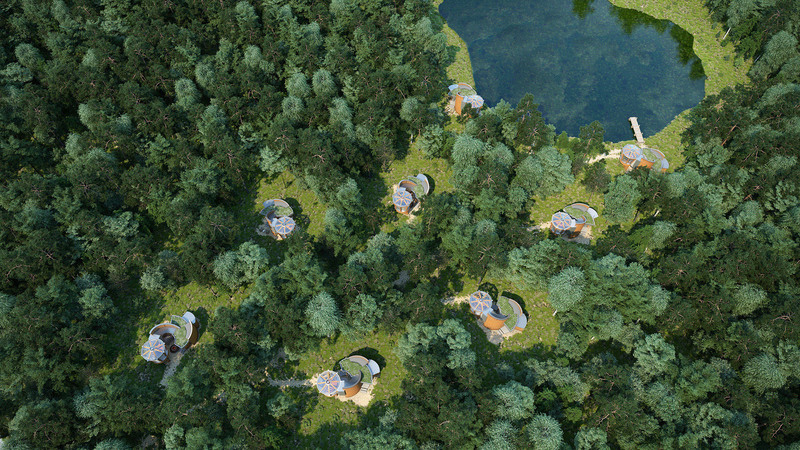 The design intent was to create an eco-friendly, cost effective, off-the-grid cabins that are to be built around the Ozolini farm in rural Latvia. The Ozolini farm is a Latvia tea company that creates a mixture of unique herbal teas. 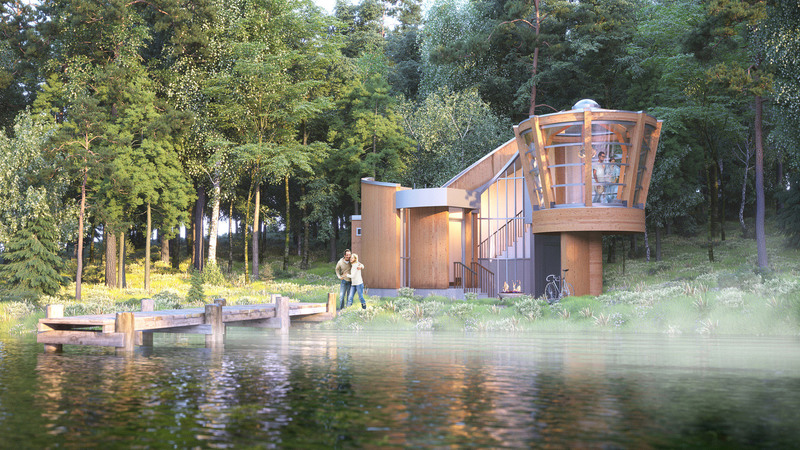 The Competition asked that the designers propose a design that would provide a comfortable living accommodation to a single person for 4-5 days. It had to be in operation for all seasons of the year, to contain a sufficient clear floor area for meditation. It also needed to include an area to store small amounts of food and water, alternative lighting options as well as a way to heat the place in the winter months. 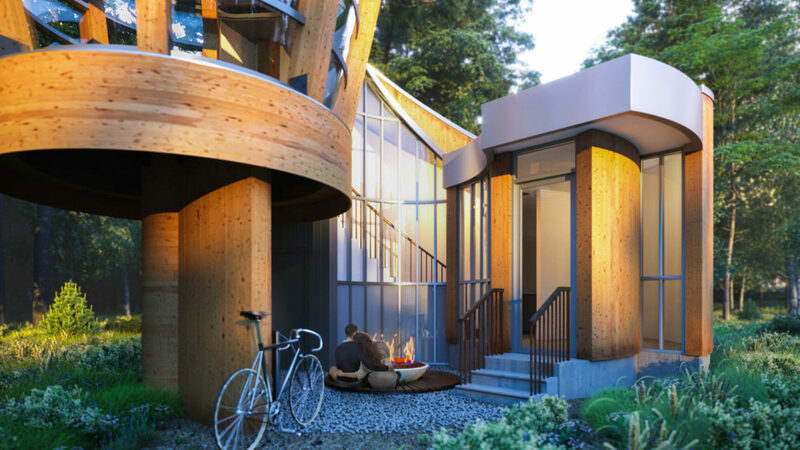 Our design focused on being built in the forest area as well as around the small lake. Although we didn't win anything it was a fun competition to be a part of and a learning experience.